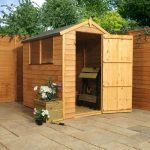 This affordable and attractive 6 x 4 overlap apex shed is just the ticket for gardens with limited space. 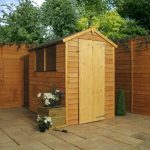 No matter where you decide to put this shed, you can be sure it will look fantastic. 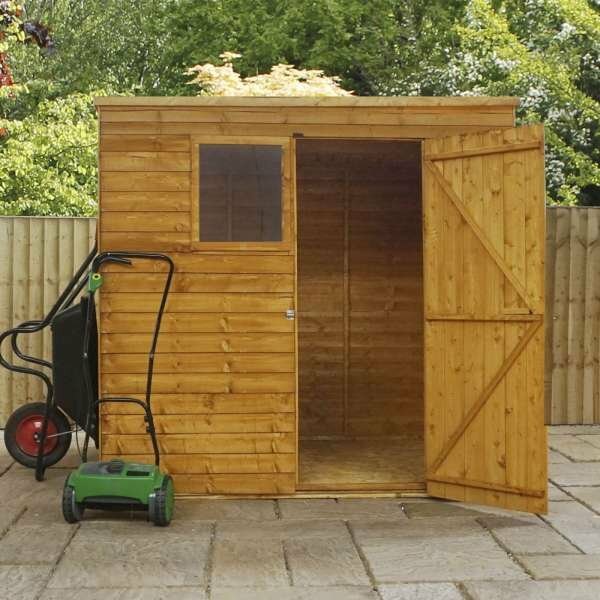 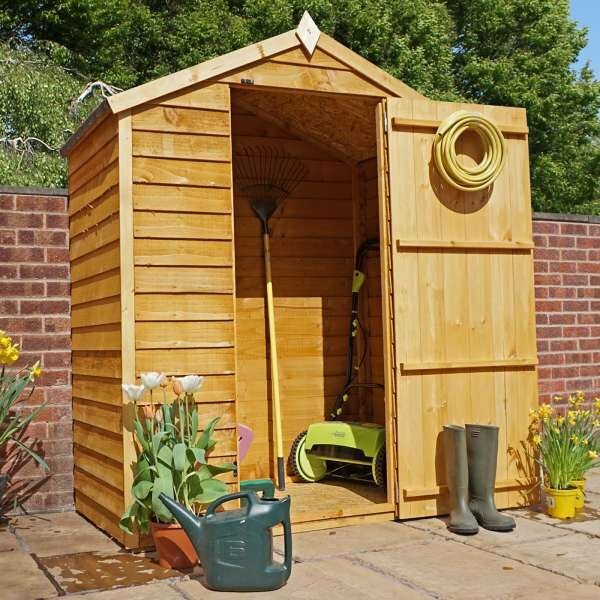 This shed suits every budget and is perfect for storing all of your essential garden items, like tools and lawn mower. 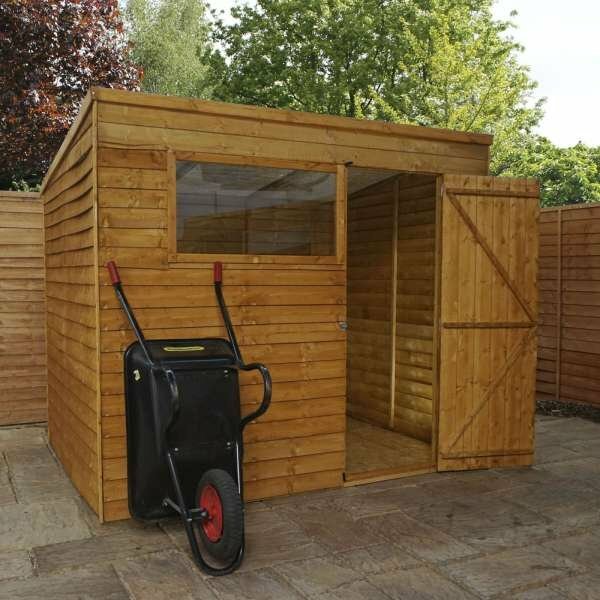 The shed is made with a 7mm overlap cladding which prevents rain water from penetrating the wood in order to keep your possessions safe. 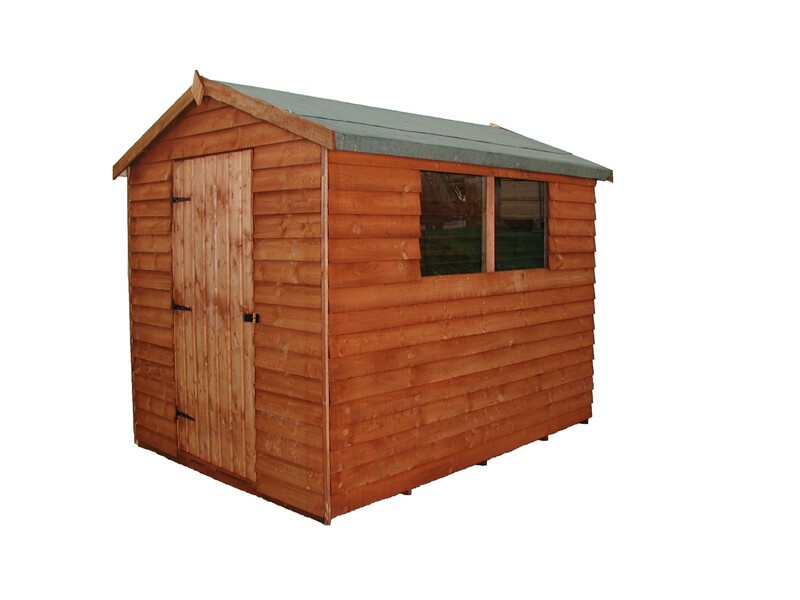 The shed also has a 10mm solid sheet floor and 8mm solid sheet roof. 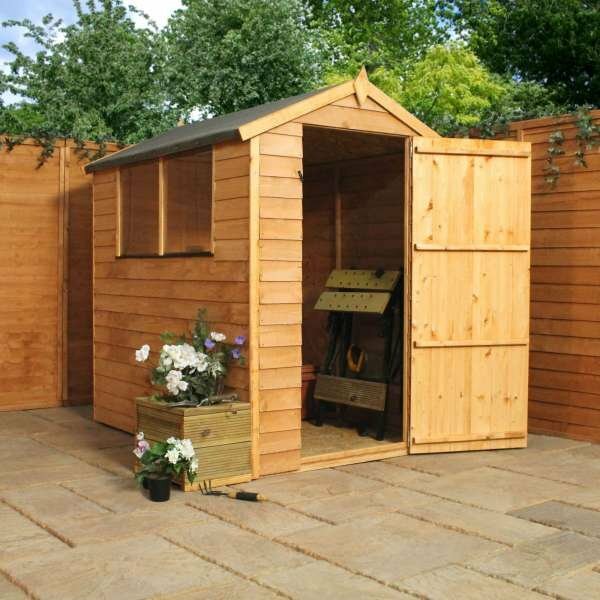 You can opt for a windowless shed or request a window section on the side. 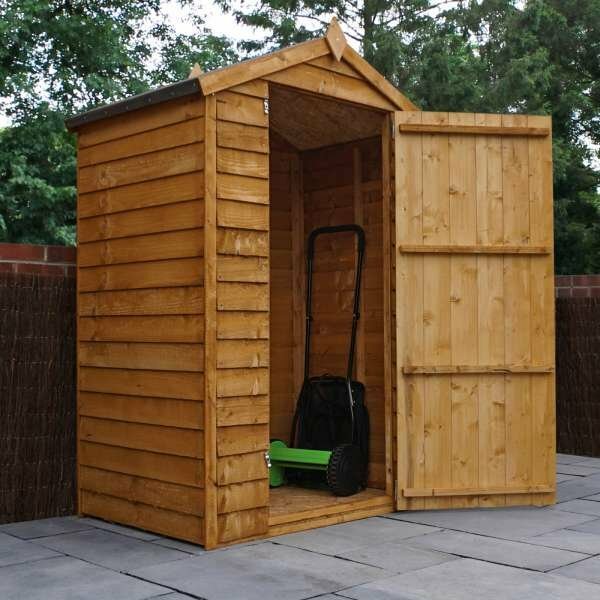 You won’t find better quality or durability anywhere else. 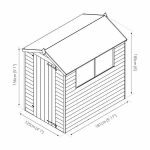 Your options: 6×4 Overlap Apex Sheds, 6×4 Overlap Apex Sheds With Installation, 6×4 Overlap Apex Sheds Windowless, 6×4 Overlap Apex Sheds Windowless With Installation. 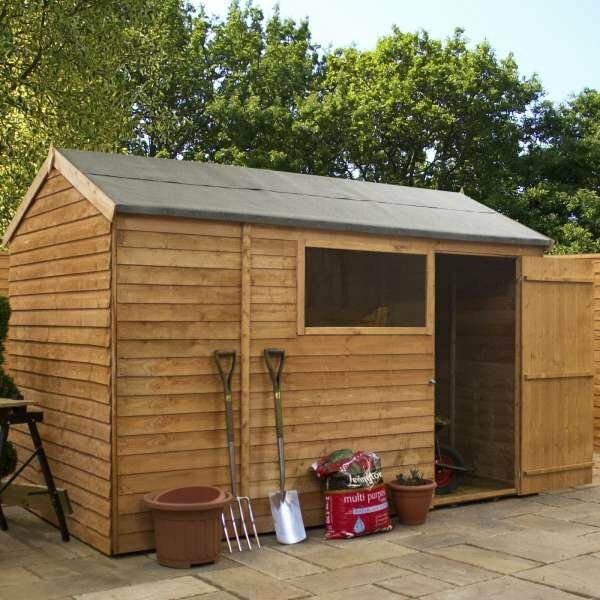 6×4 Wooden Shed Overlap Apex range offers a rustic look at an affordable price, guaranteed to suit all budgets. 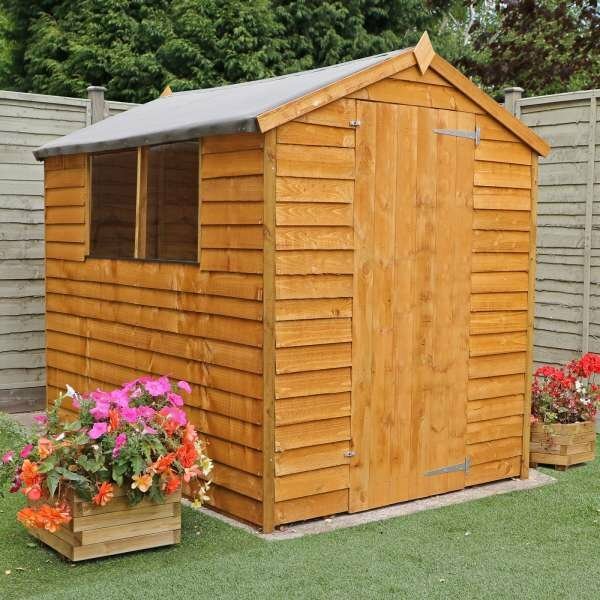 All products in this range are constructed using 7mm overlap cladding, 10mm solid sheet floor, 8mm solid sheet roof and 28x28mm framing for strength. 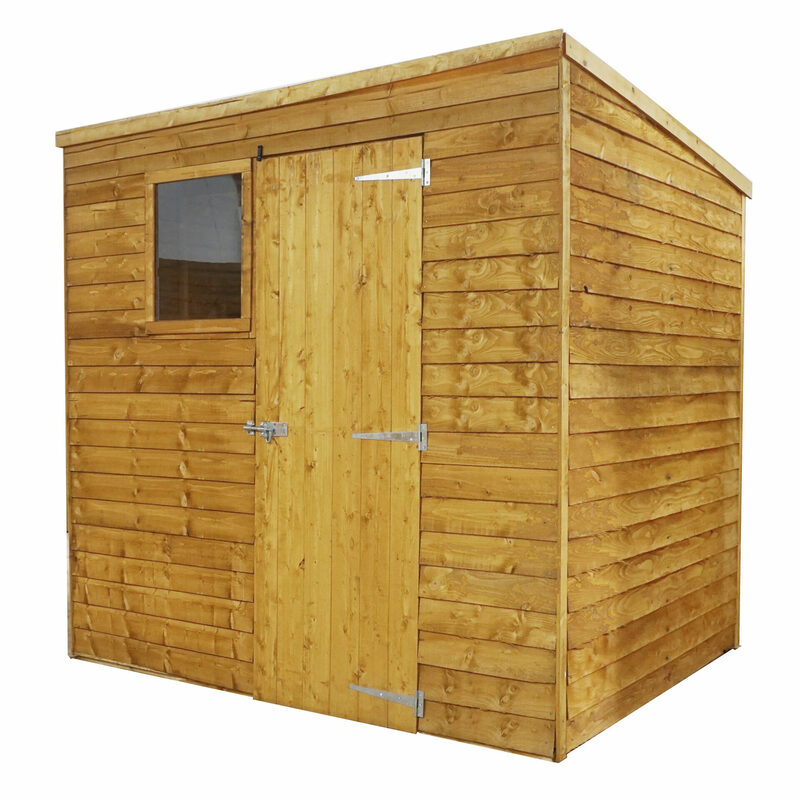 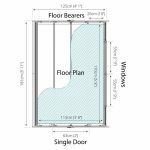 This range offers our customers the choice between a window or windowless shed.